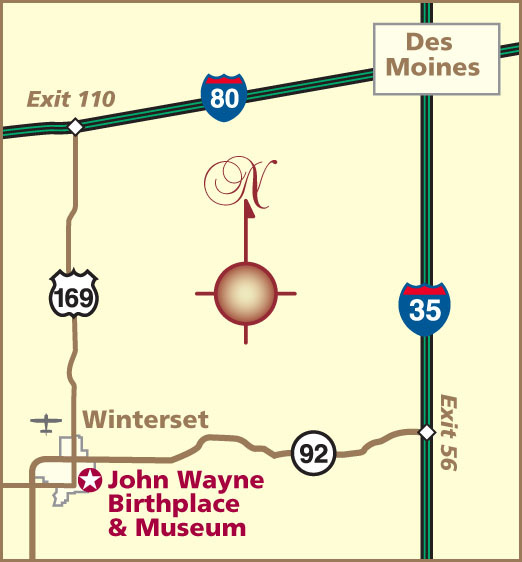 Our gift shop is located just inside the John Wayne Birthplace Museum here in Winterset, Iowa. If you’re in town, please come and visit us! If you can’t visit in person, we’re delighted to offer a wide selection of John Wayne-related merchandise for purchase online. 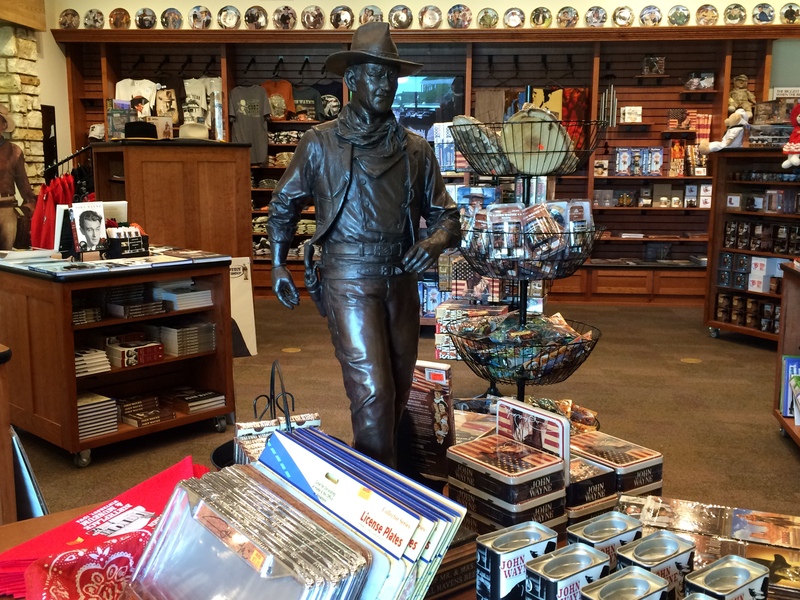 Sales of products from our shop support The John Wayne Birthplace Society, a non-profit organization which exists to preserve and expand the Birthplace of Winterset’s most famous resident. If you’d like to become a member of the Society, click here. We also accept checks, money orders, or cashier’s checks payable in US dollars. If you choose to send your order via postal mail, please send it to the Birthplace address listed above. Not sure what to choose? John Wayne Birthplace Gift Certificates are available in any amount you wish. They make a perfect gift for any John Wayne fan! Call 877-462-1044 to order. You can order online or call toll-free from the U.S., Canada and the Caribbean: (877) 462-1044. If you order via the shopping cart on our site, the shipping charges for US destinations are automatically calculated and added to your order total. Special note for INTERNATIONAL ORDERS: Please e-mail or call us for charges on international orders shipped outside of the US: +01-515-462-1044. Return/Refund Policy: Your complete satisfaction is our number one priority. If for some reason you are not fully satisfied with a purchase, please call us within 30 days of the receipt of your merchandise at 515-462-1044. Returned merchandise must be in original condition for credit or refund. Browse our gift shop seven days a week, 10:00 to 4:00. For additional merchandise available in our gift shop, please call 1-877-462-1044.